as i said on tiberiumweb its AWESOME!!!! Very well-designed, fun looking map. I'm sure to play this when I arrive home. I'll edit my post when I do and tell how it plays. Very very very nicely done CrashKing, I like how you have a choice to take the path to the right for a fast battle or you could take the path on the left for more tiberium but it will take longer to get into the battle. Anymore comments or ratings ? 8/10. Pretty nice. Fun ingame, keep it up! Oh well, I should have thought more on the name. CrashKing, or should i say, 'IonTarget'. If you think this map is worthy of a spotlight, and has received alot of possitive comments, report it to banshee and he will do the spotlighting. yes it is quite good. but personally i think you could have done better. there were parts that just coulda used some more stuff. 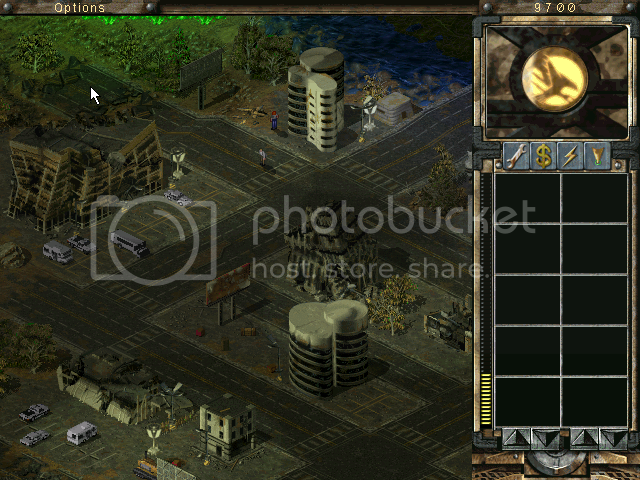 like i think you coulda added a little bit more tiberium along the places to give it a nice eye candy for the minimap and some extra resources ingame. my final out come is this isnt quite good enough yet IMHO but is very very close. duh, It was meant to be a strategic map. There was no need for that little bit of sarcasm in there, IonTarget. And yes, the map IS very strategic... Not alot of people have come even close to beating the stratergy on the map called "Terrace", but i personaly think that you have came, Pretty close in that line... Congratulation's on getting this map spotlighted on PPM, you deserve it after all your hard work. Alough, sorry, but i personaly do not think this map is worthy of a spotlight. You compare this map to some of your other work, and it looks amazing... But in my opinion, it just does not reach the spotlight mark... Sorry. 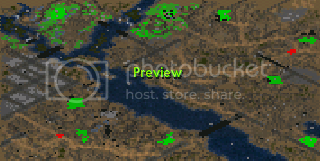 Well, I hope that the next map will be spotlighted. I know I could have done better. Banshee, you said you would spotlight 'Harzardous Crevice'... And i'm still waiting. GRR!!! OFF TOPIC ARO!!!! just kidding. Back on topic. When will you do Banshee ? guys there is a simple answer to your question.........Banshee will get to it when he has more time! and until then you must be patient. but i do hope that when banshee does get more time and can look into this section that he looks at all the maps that have been released since the turn of the new year. Congratulations, Crash-King! This map has been spotlighted!